EVERY entry will earn you 25cc! AND the more entries we get, the more points you can earn for our Season of Mystery contest! And of course... Don't forget about the prize! An autographed 8x10 of Guy Lafleur!!! 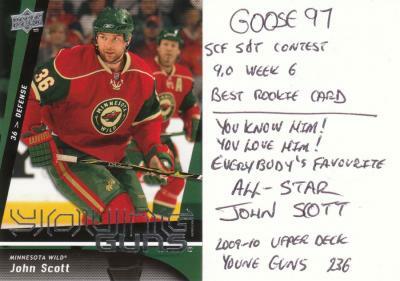 Thank you to our good friends at Players Choice Sportscards & Collectibles for providing us with this beautiful photo. Be sure to check out their Facebook page! The winner of week 4's Show & Tell was sedinfan! He will receive 25cc and 2 points in the standings. Second place goes to Sharky94, who will receive one point in the standings. 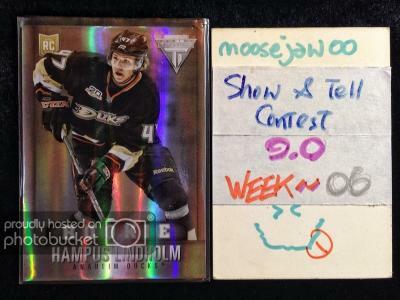 Because we had less than 20 entries for week 1, sedinfan gets 1 point for our Season of Mystery contest. And then this guy popped out! Wow, that is a rare photo. He's actually holding his stick! Kept it nice and simple. 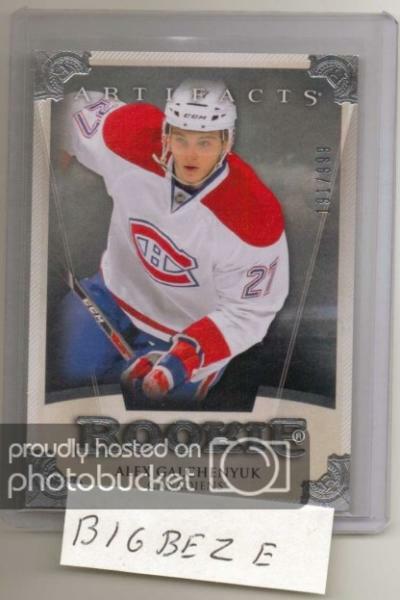 Defending scoring Champ YG Patrick Kane RC.